Following on from our articles on the reunion of the Nassington Quarry Hunslets and the Nene Valley Railway’s forthcoming gala comes news of another reunion. 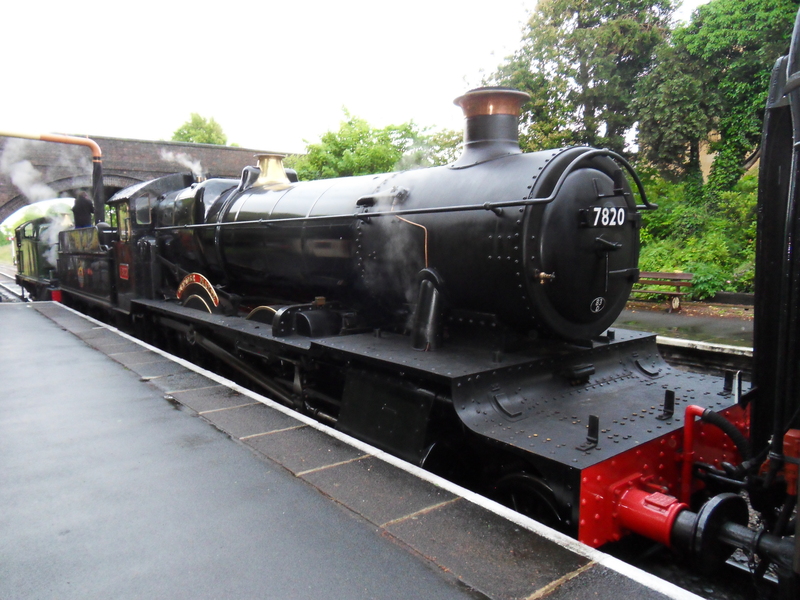 As well as selling prairie tank 4588, the Paignton and Dartmouth Steam Railway have also announced that the line is to become a temporary home to 7820 Dinmore Manor (pictured above) from the Gloucester and Warwickshire Railway, joining resident 7827 Lydham Manor from June to September 2015. 7820 and 7827 are both currently wearing a BR black livery and it will be the first time since the 1950’s that two BR black liveried ex-GWR Manors have been worked together. The fact that steam engines move about the network of preserved lines provides the heritage railway scene with plenty of variety and creates a variety of scenes, ranging from those that would have been either unimaginable in the past, through to the recreation of real scenes in the past, as locomotives return to their true stomping grounds. The Kent and East Sussex Railway for instance has had the famed fast runner GWR 3440 City of Truro run on its metals in the past, which was surely something no one could have predicted in the past. But equally they have had Gervase and the Bluebell Railway’s SER/SECR 01 class that were much more in keeping with the light railway. 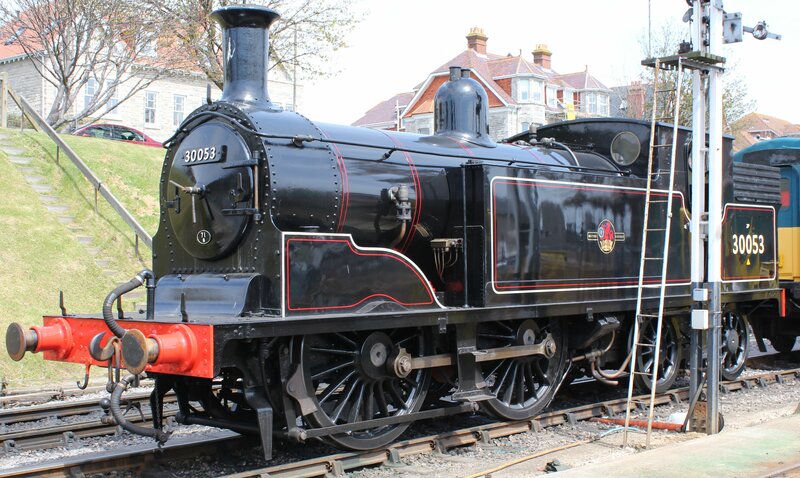 This year the railway welcomes the Swanage Railway’s ex-LSWR M7 tank 30053 (pictured above) for its’ Spring steam gala 23rd-25th May 2015. Although not directly associated with the K&ESR, the M7 tanks were used around the Southern system much more than most pre-grouping locomotives that tended to be concentrated on their original metals. 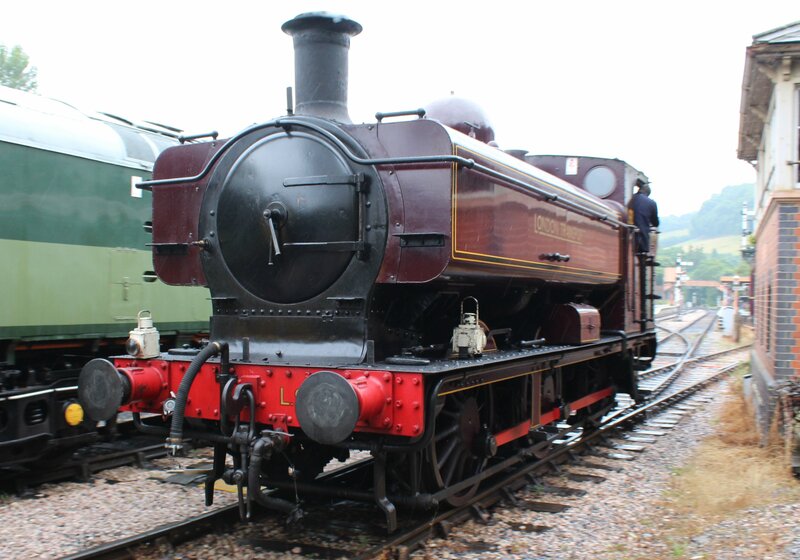 The M7 tanks were used in the Kent and it is rather fitting that the only working example has a trip to the county. The Mid-Hants railway has a fairly high turnover of visiting types that often stay for long periods of time. Two members of the National Collection (850 Lord Nelson and 925 Cheltenham) are regularly rostered for service. Jeremy Hoskin’s locomotives in particular are used extensively on the Watercress Line, with BR Standard 9F class 92212 classified as being part of the home fleet. As already reported, LNER A4 class 4464 Bittern is to spend its summer in Hampshire. 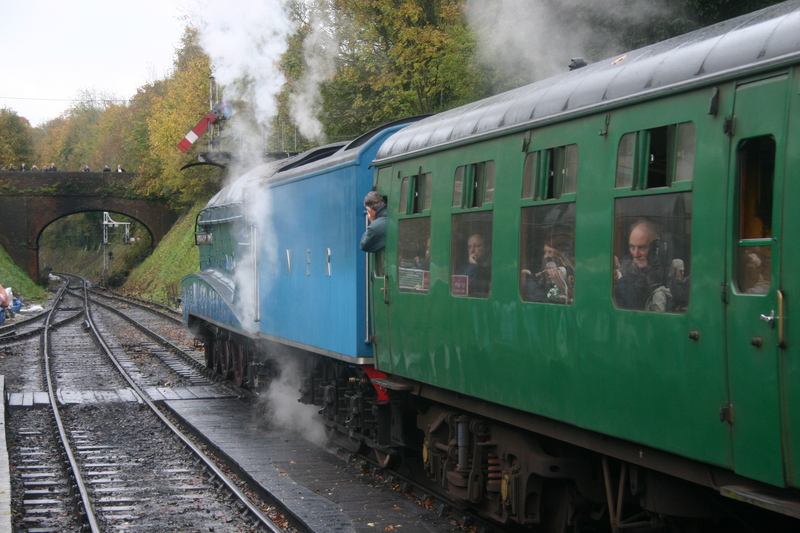 The locomotive’s last overhaul was completed at Ropley workshops when it stayed on the line for some time in BR green before taking to the mainline. It has since become a record holder for heritage railway speed and spent some time masquerading as scraped class mate Dominion of New Zealand. Bittern will be joined by another of the Icons of Steam collection; BR Standard 7MT class 7000 Britannia at this years spring steam gala, having spent the winter on the line for repairs. The gala is early this year running over Valentines weekend, 13th-15th February. Meanwhile, big plans are being hatched at the Severn Valley Railway for their gala. The SVR plays host to a number of locomotives this year as the line celebrates its fiftieth anniversary in preservation. Understandably, the line is really pushing out all the stops to mark the special occasion. Coal tank 1054 joins Austerity 8F 90733, London Transport liveried pannier tank L.92 and GWR 42xx 4270 to supplement the lines fleet during the March 20th-27th gala. Supplemented by the lines significant home fleet, this gala is promising to be one of the biggest of 2015. Of course, this is the tip of the iceberg of locomotives on their travels in 2015. If there are any that you are looking forward to seeing, do comment below! 08/02/2015 in News - Preserved Railway.